Parker and Ryder celebrated Valentine's day at school this week, with a party yesterday at Parker's school and one today at Ryder's school. I was fortunate enough to be able to attend both. It's so much fun watching them participate and interact with their friends at school. 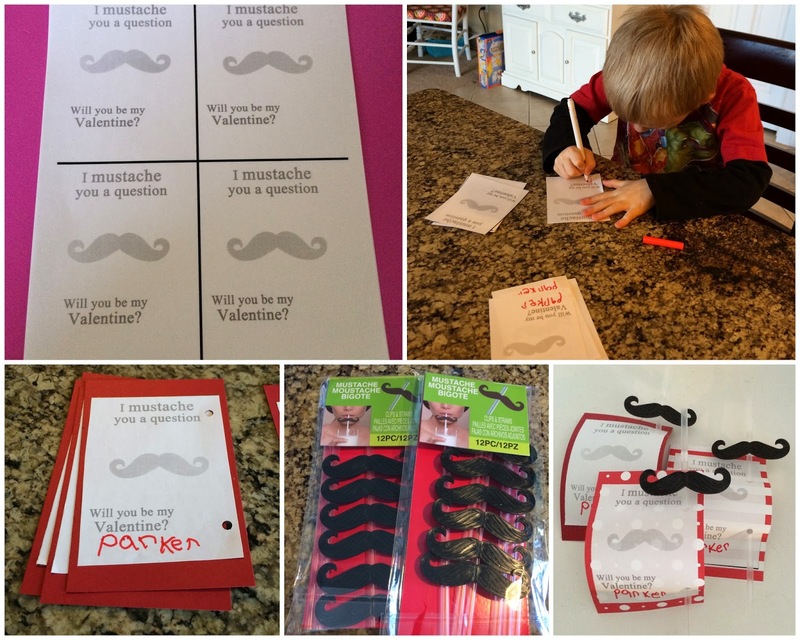 Parker decided on a mustache Valentine after showing him a few different options on Pinterest. He thought they were pretty funny! I've officially decided printers are not my friend. I have wasted so much time trying to get my printer at home to work and I've had enough. I whipped up a couple quick designs in Photoshop and had Chris print them in black and white at work. Then I cut them out and we used double sided tape to attach them to some red cardstock paper. I found fun mustache straws at Michaels and we simply punched a couple holes in the Valentines and slid the straws in. I gave Ryder a few options too and he chose frog Valentines. We found a bag of frogs in the Valentine section at Target for $3. Ryder worked so hard unwrapping each frog and he enjoyed helping put together his Valentines. Parker and his friend Brooke after their party. There was so much going on at Parker's party I didn't get any other pictures. They each got to do a few different crafts, eat some special treats and pass out their Valentines. Ryder eating his snack at his Valentine's party at school and then at home checking out all his goodies. By the way his shirt isn't suppose to be like that, he completely stretched it out. 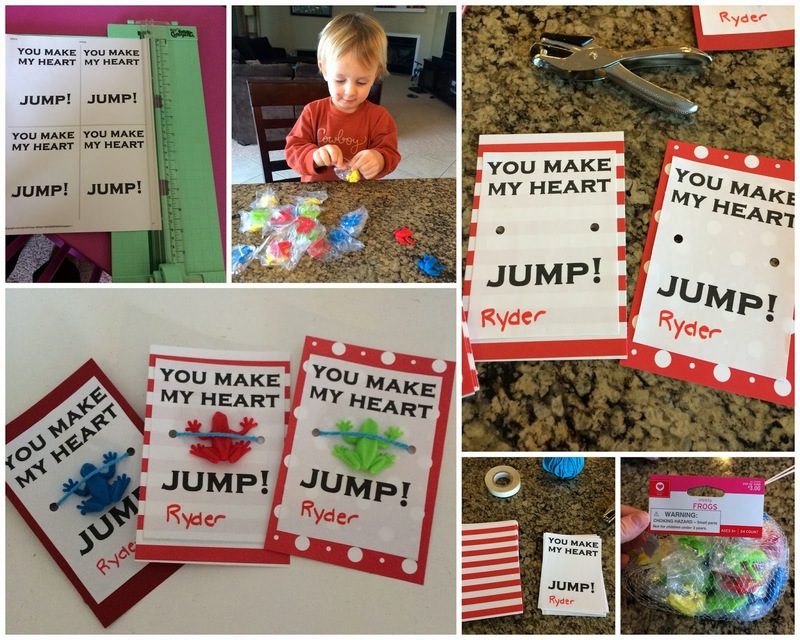 Ryder had so much fun passing out his Valentines to all his friends. They all sat in a circle with their bags and each kid got a turn to go around the circle and hand out their Valentines. Mustaches and frogs... I definitely live with boys!